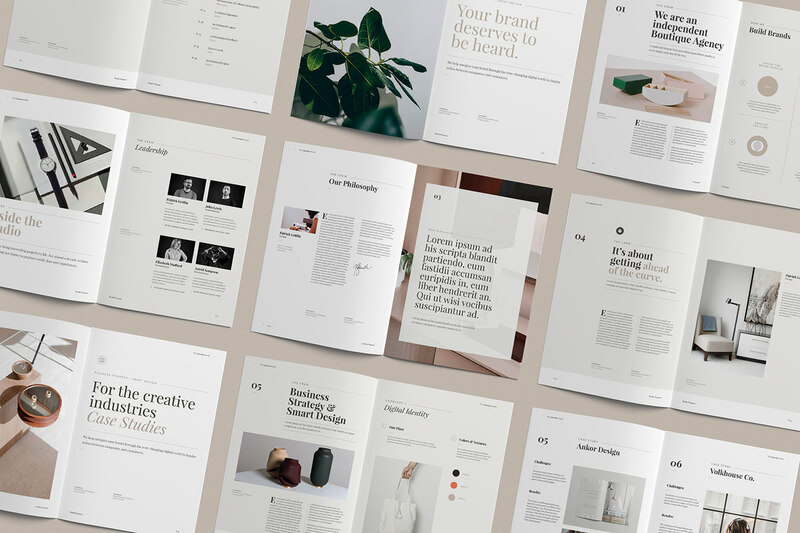 A Creative & Clean Proposal 28 pages for multi-purpose use, hi-quality design, Clean, professional and modern Proposal template saves your time & cost, fully Editable InDesign, easy replace own images and very easy to edit and change pages without loss of quality or layout Free font included. 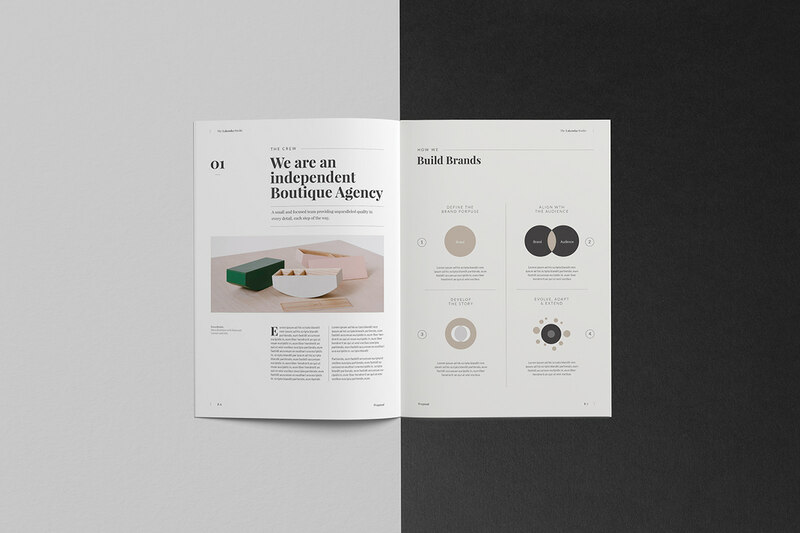 Change colour easily through swatch palette. 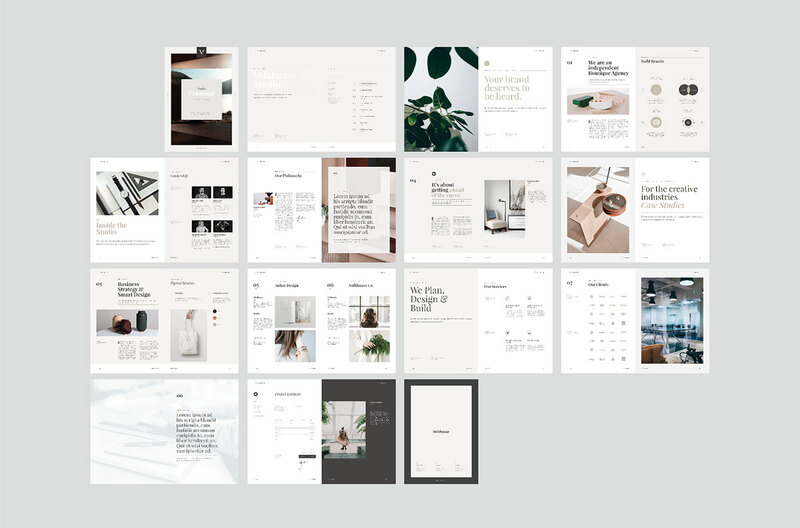 All Files are print ready. 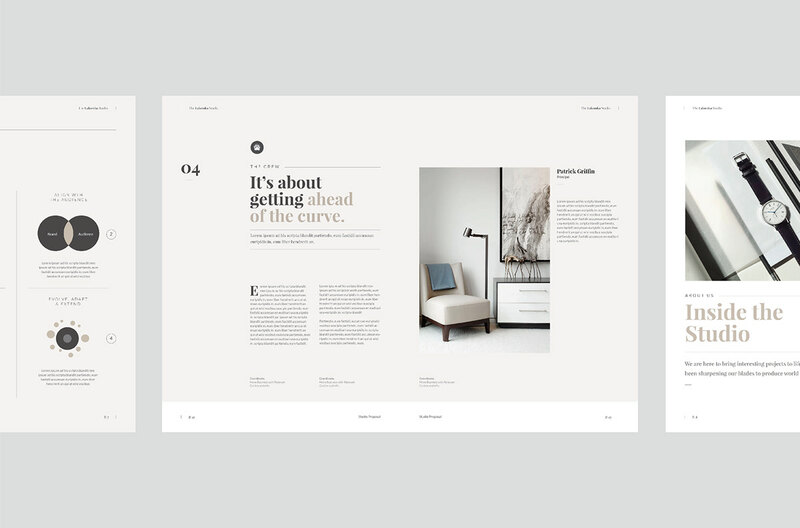 The layout intended to graphic designers, graphic design studio, agency, firm, and freelancer to ease the regular negotiations with client. 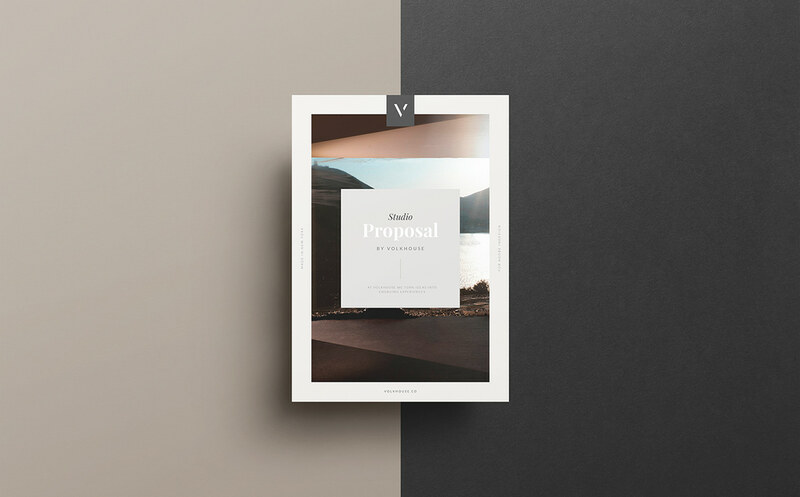 the professional proposal will gain the interest and trust of your clients and give you the opportunity to make deal for more projects. 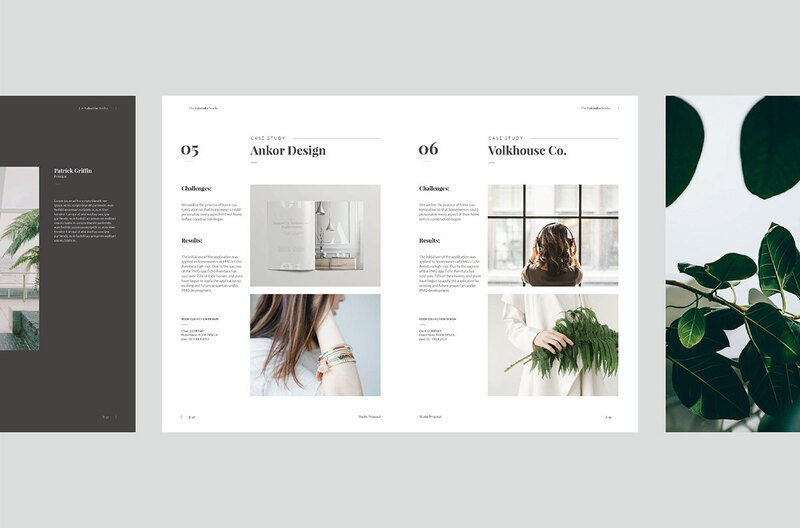 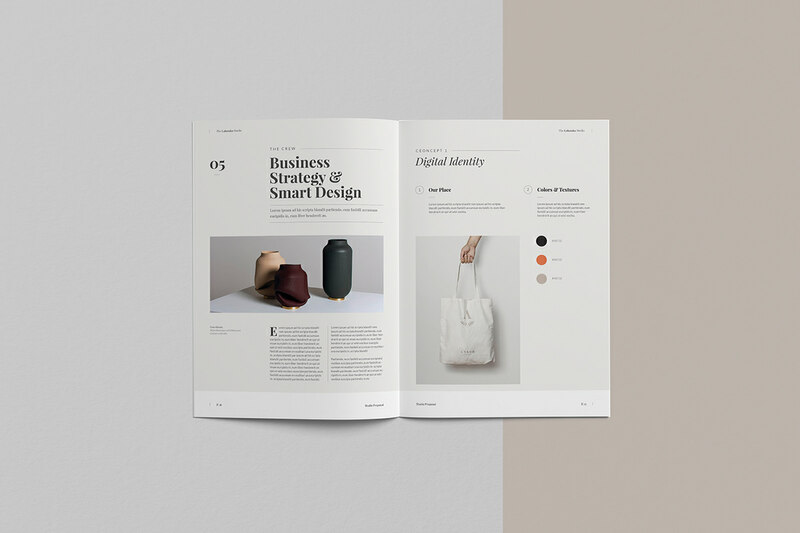 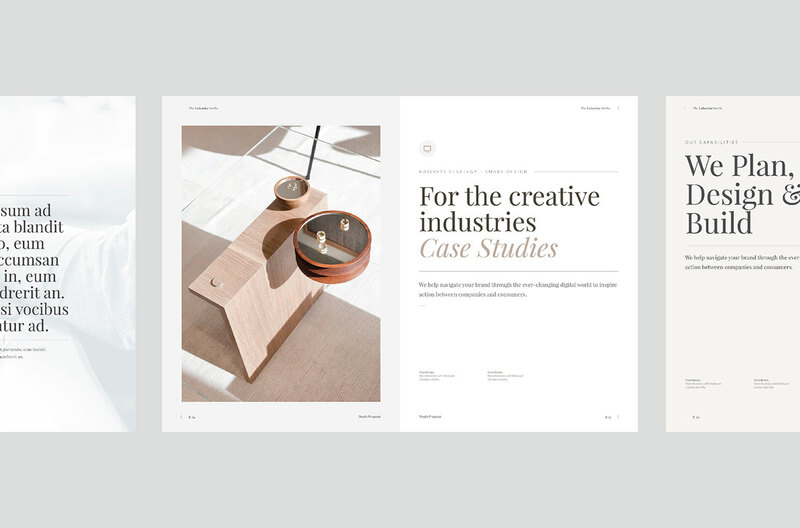 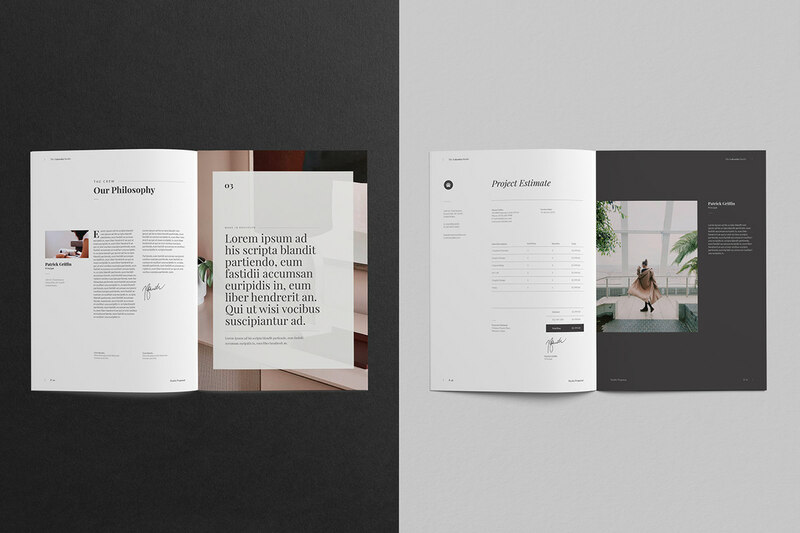 Volkhouse is a beautifully designed proposal template for use with Adobe Indesign. 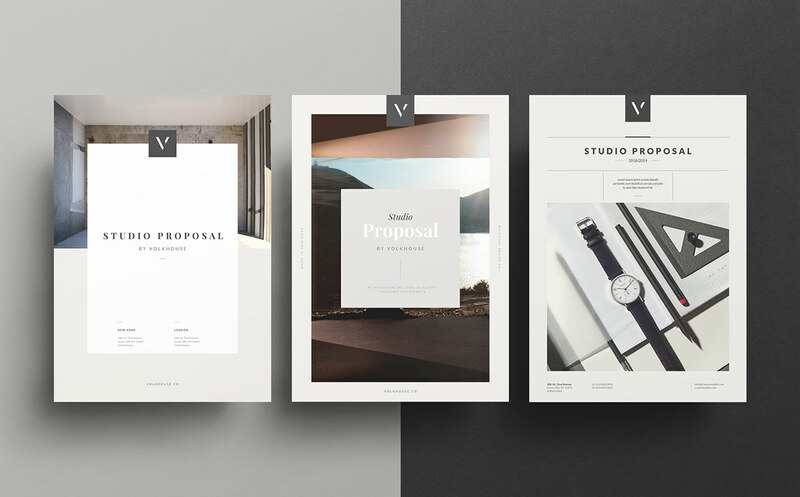 It provides a stunning way to pitch your concepts to clients and is ideal for mood boards, project pitches and proposals and portfolios. 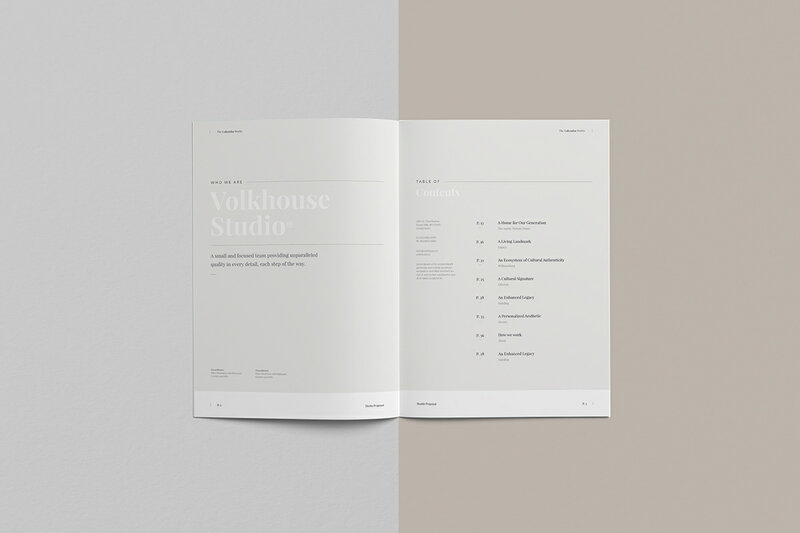 VOLKHOUSE can be printed or sent via pdf.